Theft, unauthorized transfer and tampering are common challenges facing many industries. Whether consumer products or valuable assets used by an enterprise to conduct business, losses can have a heavy impact on the bottom line. Many of the technologies used by modern enterprises, including computers and other valuables, are costly to replace. Tamper-evident security labels provide an added layer of security that can help prevent theft and similar issues, preserving your company’s assets. Thieves generally try to remove identifying labels from stolen assets to avoid detection. Seasoned, or “professional” thieves may avoid attempts at lifting products or assets that are labeled with tamper-evident security label—just for the simple fact that it’s riskier. It’s an unfortunate reality for some organizations that internal staff members may take valuable equipment and other products from the office for personal use. When valuable assets are affixed with tamper-evident security labels, clear evidence remains after any attempt to remove the label. This evidence is often the first indication that an internal staff member has attempted to remove equipment or other assets without authorization, allowing companies to launch investigations and uncover potential thieves before major losses occur. The initial investment in tamper-evident security labels provides a long-term financial benefit for enterprises. By providing visual evidence of attempts to tamper with or remove labels, tamper-evident security labels alert your company to the increased likelihood of theft and unauthorized transfers. This allows companies to invest in more stringent security procedures and more closely monitor valuable assets and equipment. With proper labeling, assets are tracked much more efficiently across an organization, even reducing the need to invest in multiple high-value assets, such as laptops and other technology equipment. Asset tags make it possible to easily coordinate shared use of a single asset between departments for more efficient cross-team utilization. With asset tracking, you can coordinate which departments will need access to equipment during specific time frames, so you can plan the use of specified equipment, track locations and allow time for transfers to other departments between projects and tasks. When you’re working with high-value assets, and relying on those assets to perform services and create products for clients, regular maintenance and prompt repairs are key to extending the useable life of those assets. Tamper-evident security labels go beyond merely leaving clear evidence of tampering; they’re equipped with scannable bar codes that allow you to instantly bring up valuable data, such as repair history, maintenance schedules and even contact information for vendors. Keeping your assets in tip-top shape means your team will work more efficiently. Regular maintenance reduces the frustrating lag times that come when an essential asset is suddenly unavailable and in the repair shop, slowing down your progress. Tamper-evident security labels are even required by some government compliance programs and even insurance companies. Use of tamper-evident security labels can also make your company more attractive to potential vendors and clients, as it demonstrates your commitment to security and provides an added layer of protection they might not get from your competitors. 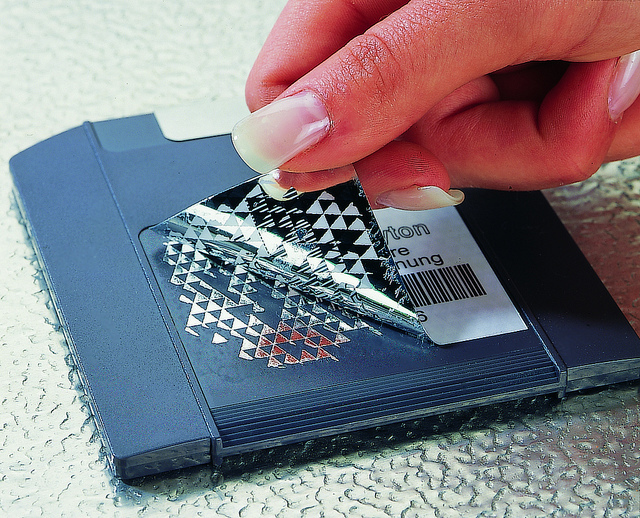 There are a variety of benefits to using tamper-proof security labels from Camcode. Each of these benefits can boost your company’s bottom line, either directly or indirectly. The investment you make in tamper-evident security labels upfront will pay off multi-fold down the line.